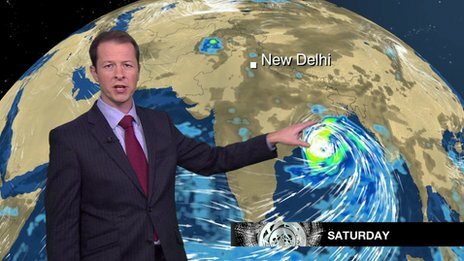 Heavy winds as India cyclone sweeps in Jump to media player More than 500,000 people have been forced to leave their homes along the east coast of India, as a powerful cyclone heads towards the mainland. 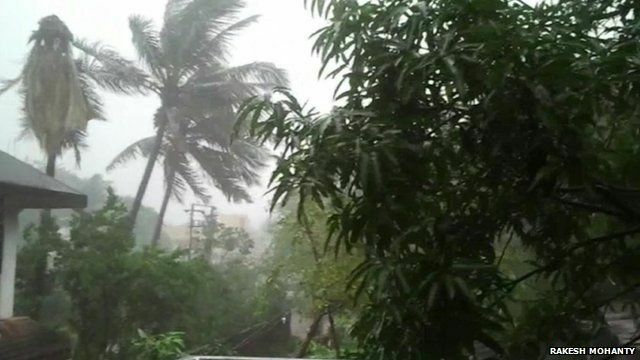 India braces for Cyclone Phailin Jump to media player More than 200,000 people in India are being evacuated as a massive cyclone is sweeping through the Bay of Bengal towards the east coast. Cyclone Phailin bears down on India Jump to media player Footage from India as it prepares for a massive cyclone that is barrelling through the Bay of Bengal towards the east coast. Queen's Baton Relay Jump to media player As a powerful cyclone continues to brew in the Bay of Bengal, what can we expect as the baton journeys around the Commonwealth? Darren Bett takes a look. Relief as Asia storm loses power Jump to media player There has been relief after a tropical storm weakened as it moved into Bangladesh and Burma, reducing the destruction caused. 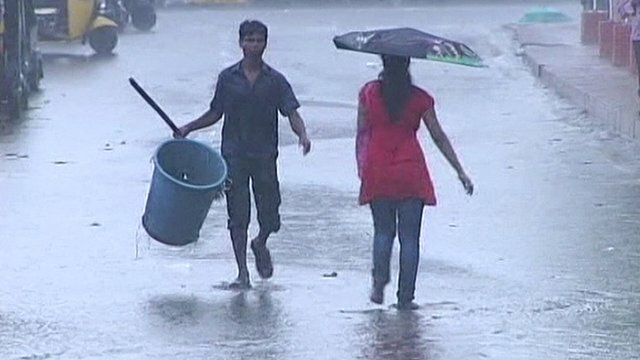 More than 500,000 people have been forced to flee their homes along the east coast of India, as a powerful cyclone heads towards the mainland. 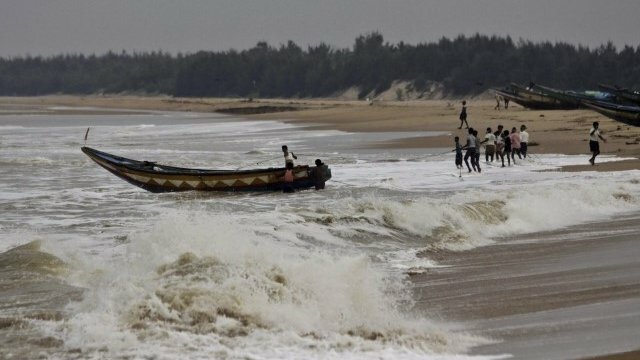 Forecasters measured winds of 200 km/h (125mph) as Cyclone Phailin hit the coast near Gopalpur, Orissa state, at about 21:15 (15:45 GMT).